Good afternoon, y’all! 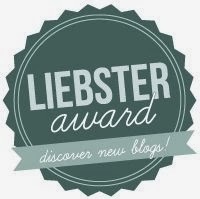 It’s Tuesday, and you know what that means – time for a review of a product I’ve been testing out. 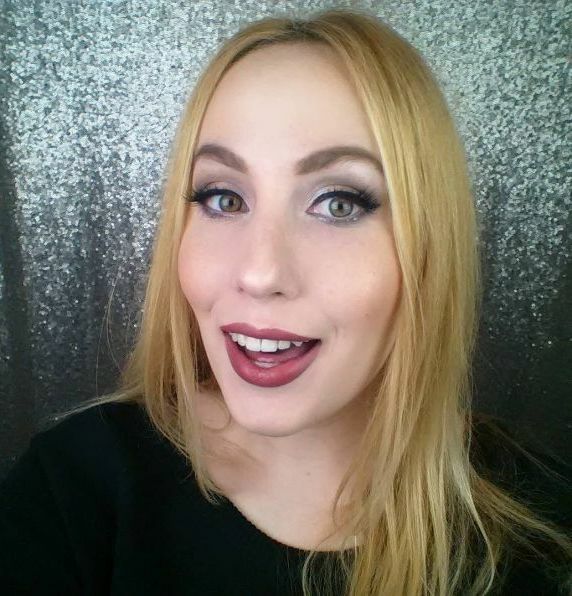 Today’s product is *drum roll, please*……..
Maybelline Volum’ Express Falsies Big Eyes Mascara, in Rebel Black! So, what does this product promise? An all around eye opening effect. 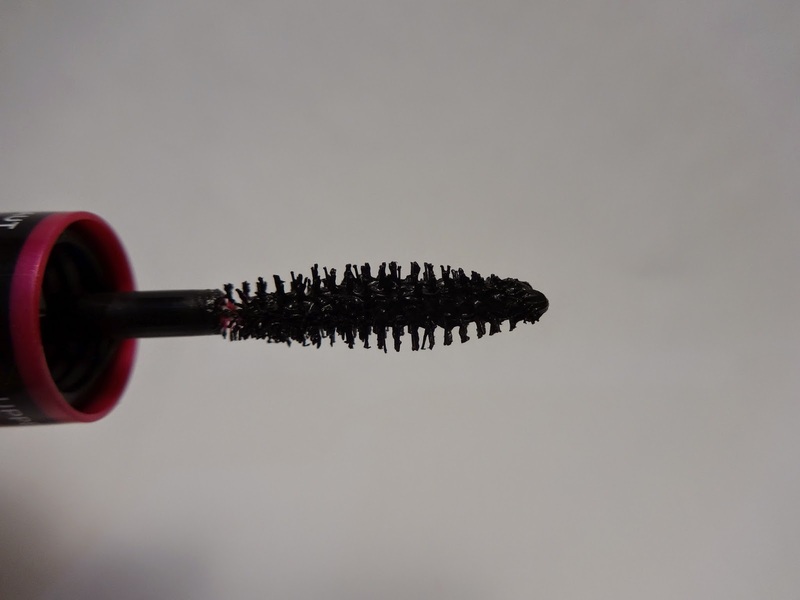 This mascara is different from any mascara I have used in the past, because it has 2 mascara wands – 1 for your upper lashes, and 1 for your lower lashes. I love this idea, because I have yet to find a mascara that caters towards my bottom lashes. In the past, I would use my mascara on the top lashes, and then try to apply it to my bottom lashes, but it would just glop on, coat them unevenly, and within minutes, it would be rubbing off and leaving black spots on my under-eye area. But Big Eyes could very well put an end to all that. The ‘upper lashes’ wand is a larger spooly brush that is in the shape of a twisted helix. The brush is plusher in the middle, and smaller on the end. The ‘bottom lashes’ wand is small, but mighty. It has dense bristles, shaped like a small spiral staircase. Time for the good stuff, let’s see it in action. 1 coat of Maybelline Volum’ Express Falsies Big Eyes Mascara. 2 coats of Maybelline Volum’ Express Falsies Big Eyes Mascara. 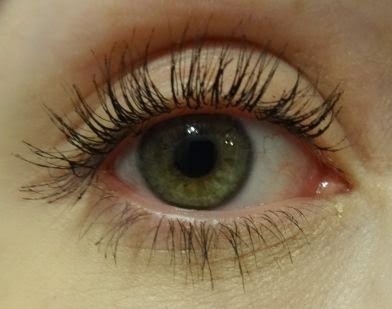 I have to say that I am PARTIALLY loving this mascara. I really like the concept of the 2 wands, because I have always had a hard time finding a mascara that applies well to my bottom lashes. That being said, the lower lash wand, in this mascara, was the star of the show for me. There wasn’t any product transfer onto my under-eye area, and the thin spooly allowed the product to evenly, and lightly coat my thin bottom lashes, which is exactly what I was looking for. 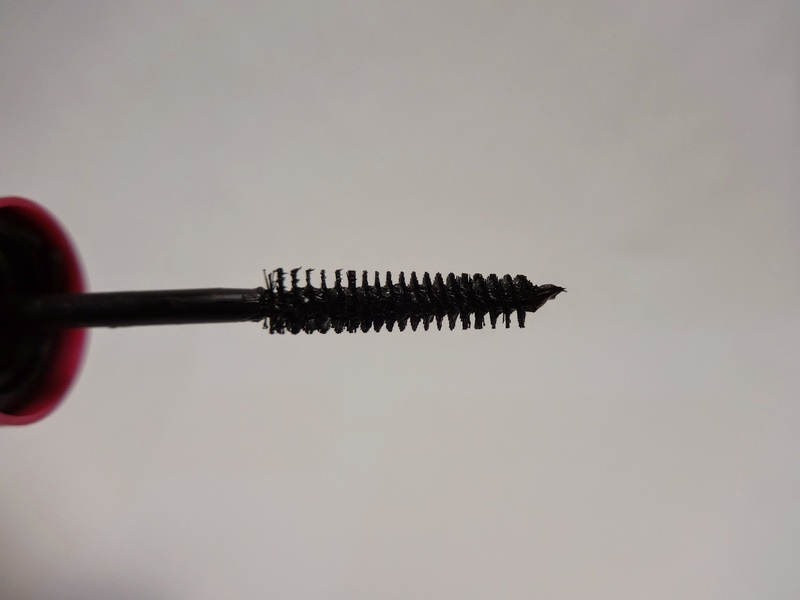 As far as the upper lash wand, I wasn’t the biggest fan of it. I found that my lashes were clumping together, which you can see in the picture with 2 coats – on my outer lashes especially, as well as a little bit in the lashes close to the inner corner of me eye. 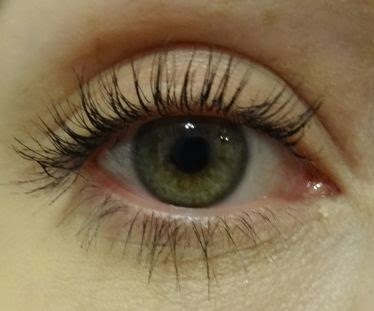 On their own, my upper lashes are quite thick, so perhaps that’s why this mascara didn’t work swimmingly for me. All in all, I think what will keep me coming back to this particular mascara is the bottom lash applicator, so I do intend on buying this, when I run out, however, it has not replaced my current go-to mascara, for the upper lashes, which I keep in my ‘everyday make-up arsenal’. The search continues. If you have all-around thinner lashes, and want to emphasize them, or amp them up, I’d say that this mascara might be for you if you.